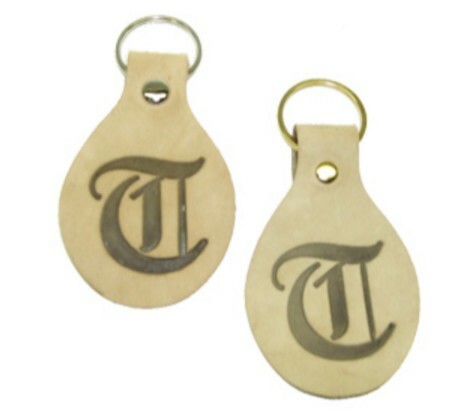 As a leather manufacturer we provide our customers with a wide selection of Business or Personalized key chains. Give your employees, clients, and prospects a useful advertisement with these Natural keychains. Brand your identity on natural buffed leather. Choose a brass or nickel plated ring or chain.